Pack of 10. 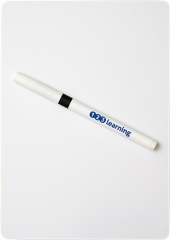 A5 whiteboards, blank. Includes a FREE Dry-Wipe Pen with each board.